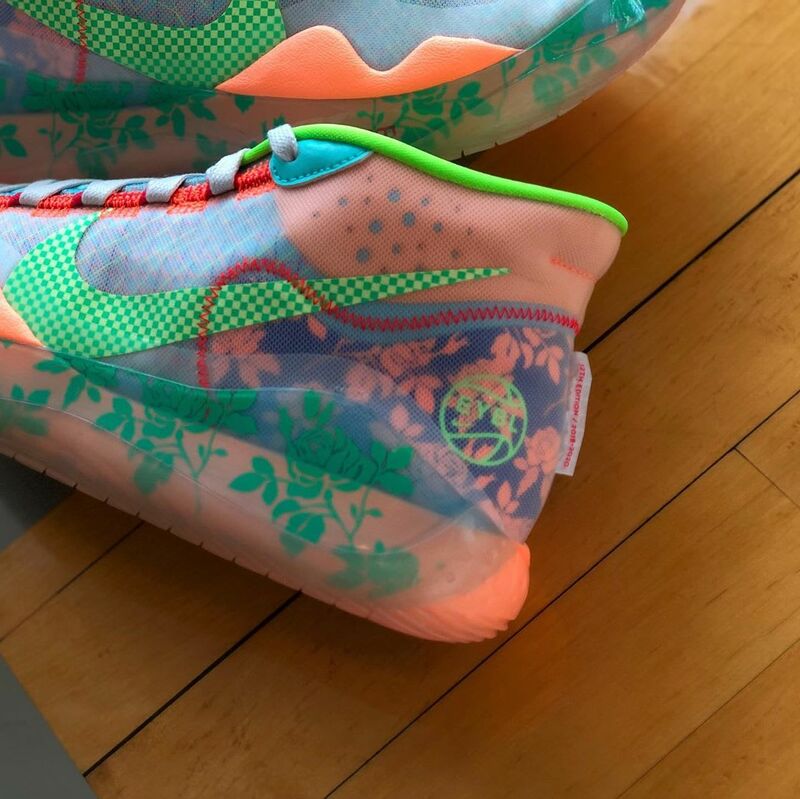 “EYBL” KD 12s rumored to drop this Summer. Nike’s annual Elite Youth Basketball League, aka the Nike EYBL, will kick off later this month with a trio of events across the country starting in Atlanta, Georgia (April 26-28), Indianapolis, Indiana (May 10-12) and Dallas, Texas (May 24-26). In honor of the event, Nike Basketball will be providing the players with special edition colorways of some of the brand’s most popular signature sneakers – including ‘s Nike KD 12. 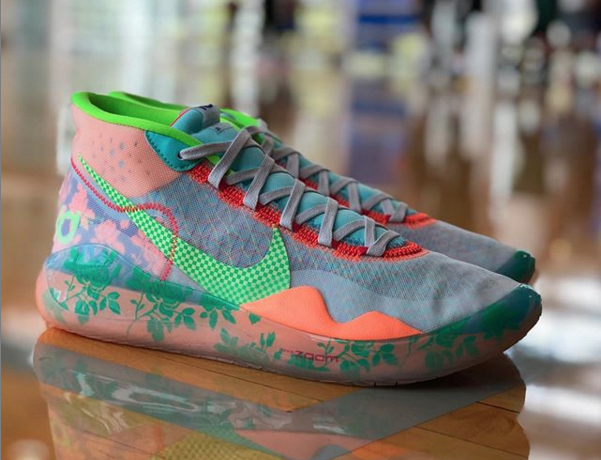 Like many of the EYBL kicks of old, the newly unveiled Nike KD 12 features a vibrant colorway consisting of hits of blue, green, orange and red with a leafy, floral pattern that wraps around the translucent TPU midsole. In addition to the KD 12, Nike Basketball will reportedly release an as well. If any of the Nike EYBL sneakers do release to the public, expect them to be available in June or July in limited quantities. 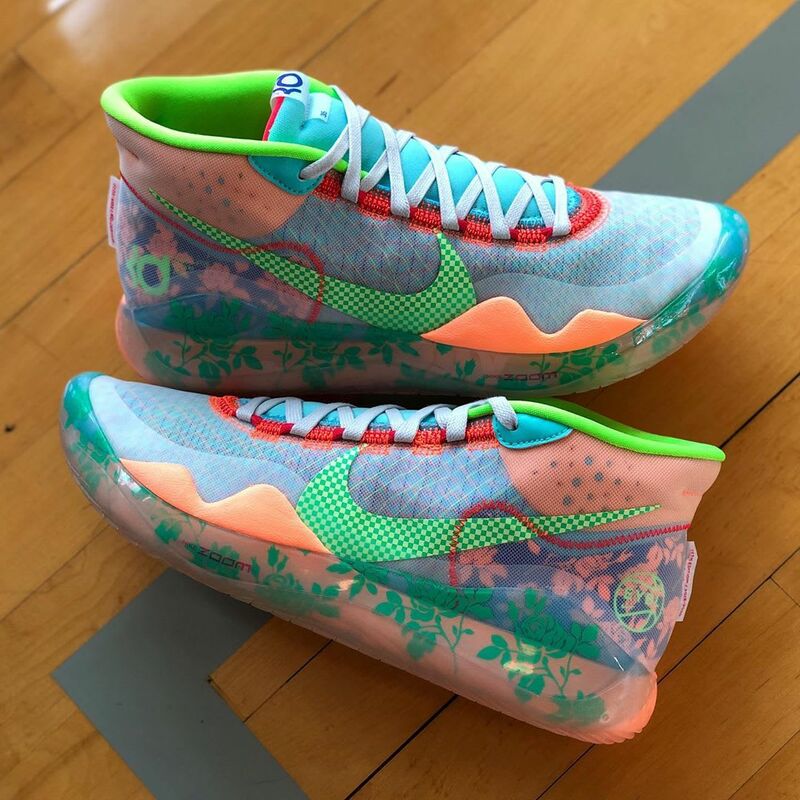 Click for an early look at the , and scroll down for additional shots of the colorful KD 12s.